Welcome to the PJ Library program through the Jewish Federation of the Berkshires! Do you enjoy reading bedtime stories with your children? Imagine turning those special moments into Jewish moments. Families all over the Berkshires are enjoying bedtime stories about Jewish values, holidays and traditions. PJ Library is an outreach and engagement program that sends FREE, high quality, age-appropriate Jewish themed books and occasional musical selections to the homes of families with children ages six months through 8 years of age on a monthly basis. The PJ Library program was founded by the Harold Grinspoon Foundation, and is made possible through the support the Jewish Federation of the Berkshires and generous local donors. If you would like to learn more, or enroll, visit their website here or contact Susan Frisch Lehrer, PJ Coordinator, slehrer@jewishberkshires.org or (413) 442-4360 x 14. Pajamas! We know those special times of reading, dancing and singing together happen when your children are wearing their pajamas. A family must have children from 6 months to 8 years old with one Jewish parent in the household and currently reside in the greater Berkshire region. The PJ Library® program is free thanks to support from the Jewish Federation of the Berkshires and our generous local donors listed below. 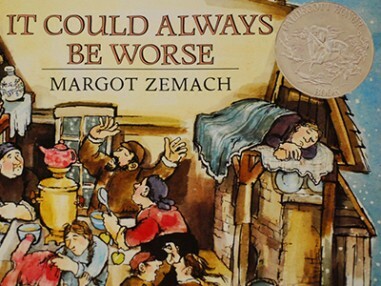 In this beloved tale from Eastern Europe, a distraught man discovers a positive attitude for dealing with the overcrowding in his small home. 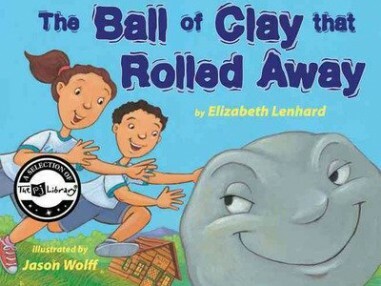 During pottery day at Camp Knish, a ball of clay manages to escape from the children who plan to mold it into various Jewish ritual objects. Stay up to date on the latest books, events and happenings for PJ families by following us on Facebook.